Eating Out in Littleport Spoilt for Choice! Focus on Flooring in Littleport! The Gate House Gets Top Award! We have so many eateries in this village we really are spoilt for choice with something like 19 venues. Writes Cathy Gibb-de Swarte. There are pubs, cafes, restaurants and centres that provide cooked food, including Woodies Café that’s housed in Delaynies furniture shop in Saxon Park run by the Woodruff family, and the Bijou Kitchen on the corner of White Hart Lane which replaced AJ Caterers, is managed by Steve Wong of Wok This Way takeaway fame. 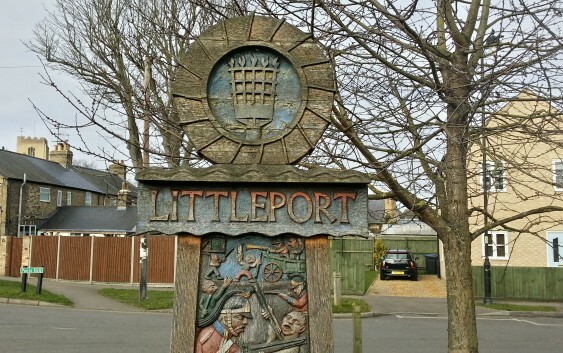 Littleport Life caught up with just three of the newest proprietors. Newcomers and joint owners, Javier and Fabian representing their trendy café restaurant, Habis; Carole Creek, Landlady of The Plough & Harrow pub, and Frank Burrow, joint owner of The Swan on the River which now provides bed and breakfast accommodation. The long awaited Tapas Restaurant opened in July, and customers were delighted not only with the general ambiance, likening it to many a spacious upmarket Cambridge or London cafe, but also Habis’s very own delicious Mediterranean food cooked fresh on the premises. Javier Gomez Serrano is joint manager with chef Fabian Macas. “When I first arrived and opened the door to the premises, it had that wow factor, especially when I saw the layout, and how spacious it was allowing access for wheelchairs, prams, and how modern and upmarket it was. I love the fact it is a doggie friendly restaurant because it allows me to bring my own dog Curro to work, which really is a bonus,” stated Fabian, who was already planning their Christmas Menu which will consist of a starter of pork terrine with pistachios, apricots and mango jam, with main dishes from roast duck in apple jam, and vegetarian wellington, to desserts, sticky toffee pudding and triple chocolate brownie etc. These pre-ordered 3 course meals cost £25.00 per person with £10.00 deposit per person. “We‘re not frightened of competition either. Restaurants like ours brings people to the village and keeps them there. We offer a very different choice of menu and we have had fantastic feedback from customers. 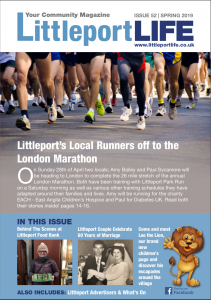 There is free WIFI here which does attract many IT people who come in to work, as well as enjoying our Columbian coffee, while paper and crayons are made available when children are bored having to wait for their parents to finish their meal ,” Javier told Littleport Life. July 9th 2016, was the year The Plough & Harrow was transformed into a very friendly and fun family pub thanks to proprietors Carol and Patrick Creek. Fronting onto Ely Road, on the subject of competition from the many other eating-out options, Carol says she sees no one as a rival and actually welcomes healthy competition. Their Head chef Martin Shelcott, who joined them in October has a wealth of knowledge having been in the business for 23 years. His bangers and mash and fish and chips have proved extremely popular. Martin also caters for the vegetarians among us, and has teamed up with joint chef and former Swan on The River cook, Imogen Underdown. “We do get good reviews and customers are really happy with the food we produce, particularly our breakfasts which is a full English served Friday and Saturday mornings, where we use quality ingredients, bought as a local as can be, and cooked fresh. Sundays you can also tuck into our tasty roast dinner (and there is special offer on 2 courses. £9.95 for one course, and £13.95 for two courses),” said Carol, who also pointed that they are a dog friendly pub welcoming any thirsty pooch into the side bar and the beer garden. It was a first for The Plough & Harrow when they held their very own Dog Show, which Carol said, “is already being scheduled next year,” who listed all the amazing events that you can enjoy and get involved with. A pool and quiz night once a month and live music every weekend. They have two darts teams who play on Tuesday and Friday, while the Super League darts team play on Thursday evening. The Swan on the River has always been a place people love to visit, and they have every reason to extend their stay now for that bit longer by spending a night or two at one of five luxurious well designed bedrooms. One of which is a specially adapted bedroom for disabled visitors. Joint proprietor, Frank Burrow, was only too happy to show me around their very impressive and comfy guest accommodation. “The B&B part of our business has been running since mid-August, and on a typical day at The Swan on The River 3 to 4 of our 5 rooms would be already booked. In fact, we have had quite a lot of block bookings, mainly from local businesses,” said Frank. “Sleek and corporate is what I would call our bedrooms. They are fitted to a good standard and have a work desk, plus a usb charger, WiFi, and TV, designed for both the commercial traveller and visiting families. In fact, we have accommodated big family get-togethers. And we are situated right on the River Ouse. “I don’t wish to sound biased, but I do think our rooms have been superbly designed by my life partner and business partner, Richard Oyarzabal, who really does have an eye for style and detail.